Mylene Bessette went to Bishop’s University. 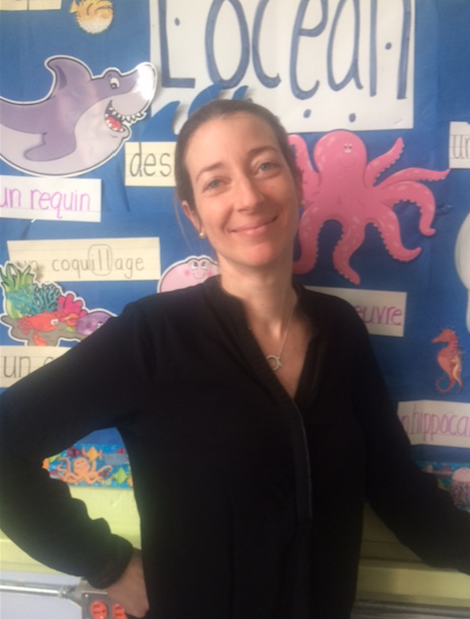 She taught French Second Language at a different school one year and she has been teaching Math and French (sometimes Physical Education and Art) to grade one and grade two at Knowlton Academy since 2005. Mylene is 38 and she lives in Magog with her husband and her 4 year old son Gabriel. Mylene likes to travel, she likes children and psychology. Mylene is a firm believer in the attachment theory and positive education at home and at school. She likes to know her students and she wants them to feel comfortable and happy first at school in her class. That is her priority. She teaches Math and French but she also likes to do yoga, aerobics, play, go to the engine room, take walks, use hands-on materials, grow plants, cook and do art. Her perfect class would be one where learning is fun, hands on, interesting and where everyone would makes progress personally, socially and academically comfortably without stress.